Except in the case of some slot machines, the gambling profit per patron at a casino is always going to be fairly static. Anyone who runs a casino knows that the only surefire way to increase revenue is increase your customer base and to keep them at your casino for as long as possible. One of the simplest ways to do this is through the casino bar—specifically, the lighting in your bar. 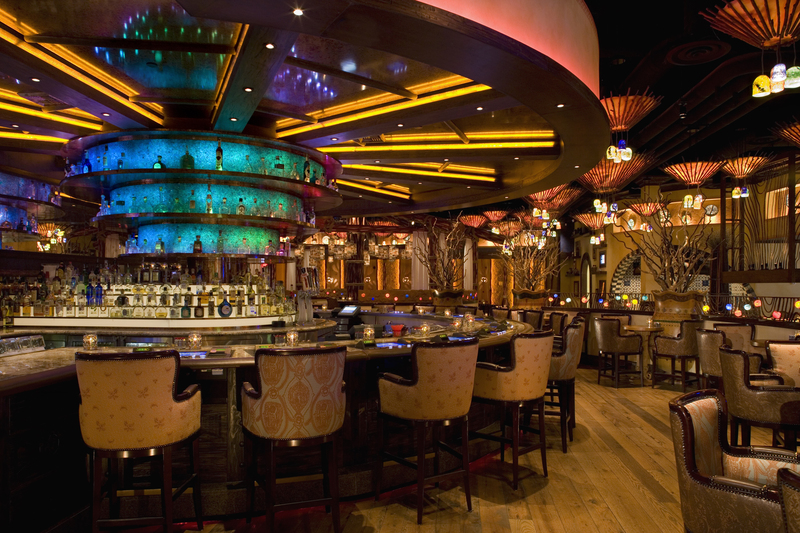 The type of lighting used for your bar can subconsciously affect how much time and money your customers spend in your casino, and even how they play their money. However, don’t think that your bar lighting should be anything like the caffeinated flashing of your slot machines. Lighting is an essential—yet often overlooked—aspect of any B2C sales strategy. When done correctly, it can positively influence a patron’s perception of comfortability and has been shown to encourage customers to stay longer and spend more money in retail spaces (or, in this case, at the blackjack table). There are two types of lighting that need to be considered when designing your bar: ambient lighting and accent lighting. Ambient lighting is mostly about ensuring that patrons can find their way around your space without distracting the eye. This requires low light levels consistent with the rest of the indoor lighting in your establishment. People prefer to face a wall that is illuminated. Give your gamblers an enjoyable environment in which to drink and relax, and watch your liquor sales increase as well. Implementing high contrast lighting enhances the visibility of your liquor products and draws consumer attention to these products, all with the added bonus of lowering energy consumption. People tend to find cool light (5000 Kelvins) preferable to warm (3000 Kelvins) as it is brighter and “more arousing.”1 Arousal translates to aggressive betting behaviors. Sometimes, though, the science will only take you so far. The trends these days say that to be cool you must feature clear, hand-blown glass lighting fixtures rather than translucent ones, warm colored bulbs rather than cold, and LED-lit liquor shelves instead of unlit shelving in order to complete a fully up-lit backbar. The first things that come to mind when the words “casino lights” are mentioned are the extravagant and bright displays on the outside of Vegas casinos like the MGM Grand, Bellagio, and Caesars Palace. For the huge casinos competing for attention on the Las Vegas Strip, those outside lights might be of the utmost importance. But for virtually all other casinos, the competition is in the surrounding bars/restaurants/nightlife spots, and the customer experience inside is what brings returning business. In an industry where your profit margins are nearly set in stone, any little tweak that can be implemented to increase your number of gamblers and the amount of time they spend with you is well worth the effort. 1 Park, N.-K., & Farr, C. A. (September 01, 2007). The Effects of Lighting on Consumers' Emotions and Behavioral Intentions in a Retail Environment: A Cross-Cultural Comparison. Journal of Interior Design, 33, 1, 17-32.